USE FIREFOX OR AT LEAST ANOTHER BROWSER THAT SUPPORTS WEB STANDARDS! 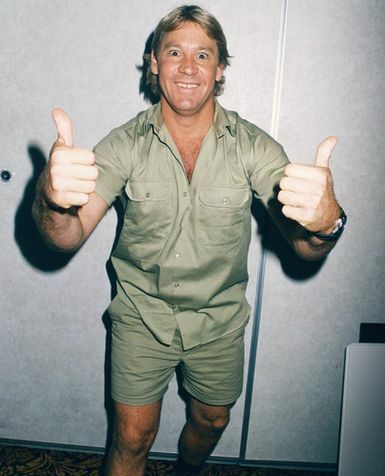 “Australian naturalist and television personality Steve Irwin has been killed by a stingray during a diving expedition off the Australian coast. Mr Irwin, 44, died after being struck in the chest by the stingray’s barb while he was filming a documentary in Queensland’s Great Barrier Reef. Paramedics from Cairns rushed to the scene but were unable to save him.